Building a split rail fence was an incredible amount of work. One mile of fence required 8000 rails. Cold soldiers burned them to keep warm as they advanced and retreated along Longwoods Road. Imagine looking out over your land and seeing fires in every direction — the sickening horror of years of hard labour going up in a few hours of smoke. The first immigrants brought their memories of green hedgerows and found their new country covered with a dense growth of timber which furnished abundant materials for fences. The zig zag rail fence was almost universally adopted by settlers in the heavily timbered portions of the country. Remnants of rail fence from the countless thousands of miles built still exist today. Good chestnut, oak, cedar, juniper rails or original heart pine will last from 50 – 100 years, so the fences served several generations. A design that is 10 rails high and propped with two rails at each corner requires 12 rails per panel. The fence bed is 5 feet wide and rails are 11 feet long and are lapped 1 foot at the locks. The panel extends about 8 feet in a direct line. This design requires 8000 rails to the mile. For a temporary stock fence that can be put up and down in short order, nothing is better. The War of 1812 claims for London and Western Districts show that thousands of these rail fences were destroyed. In a single night, years of work went up in smoke. Gideon Tiffany of Delaware claimed the loss of thousands of rails burnt by troops and warriors camping on his premises for several days as they advanced and retreated. The military used them for firewood or just for the sake of war destruction. Imagine looking out over your land and seeing fires in every direction, the horror of destruction, the waste of years of hard labour. 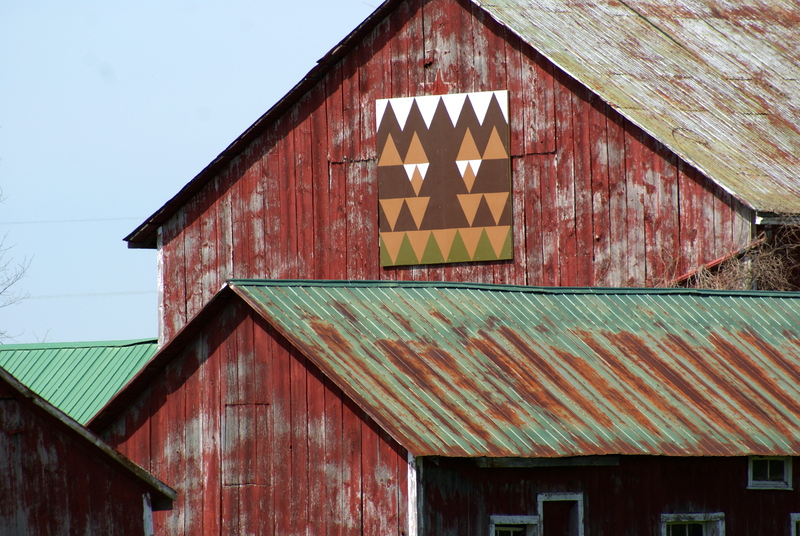 Posted on June 2, 2012, in Longwoods Barn Quilt Trail, War of 1812 and tagged old rail fence. Bookmark the permalink. Leave a comment.